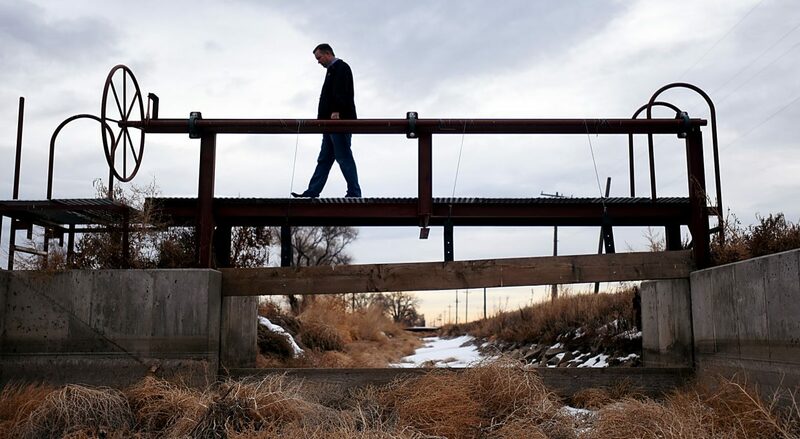 GILCREST, Colo. — Officials in Gilcrest once contemplated suing the Central Colorado Water Conservancy District to recoup the money the town spent repairing damage from high groundwater many here blame on Central's water management. The revelation came during a Gilcrest Town Board meeting May 1, at which retired water engineering consultant Bob Longenbaugh presented his recommendations on the high water levels that have plagued Gilcrest and LaSalle for more than a decade. The water has seeped into dozens of basements and ruined thousands of acres of farmland. 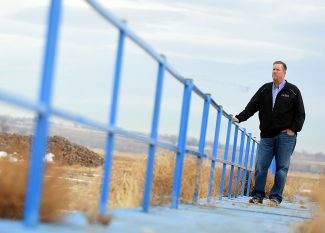 It has caused millions of dollars in damage, and Gilcrest has taken out a loan worth $818,000 to help deal with problems. The town also sought, and received, a $595,000 Department of Local Affairs grant. For reference, Gilcrest's annual budget is about $1.5 million. The initial cause, most agree, was restricted well pumping for agriculture in 2006, the result of water court decrees Central signed. But Longenbaugh also has long pointed the finger at artificial recharge, in which Central pours water into shallow ponds and allows that water to seep into the ground, recharging the aquifer below. Central and the farmers it represents get credit for artificial recharge, allowing farmers here to use their wells more often. Longenbaugh provided visuals, showing the water level increases and how those related to recharge projects. He brought allies, too, with eight residents, including Fritzler Corn Maze owner Glenn Fritzler, who spoke before the board, as well. "(Longenbaugh) doesn't have a dog in the fight, so there's no bias," Fritzler said. "I've got some bias. I've got high groundwater affecting my house, damaging my crops. … If they fixed our problem, your problem would go away." Trustee Karla Castro asked Longenbaugh how to fix it. 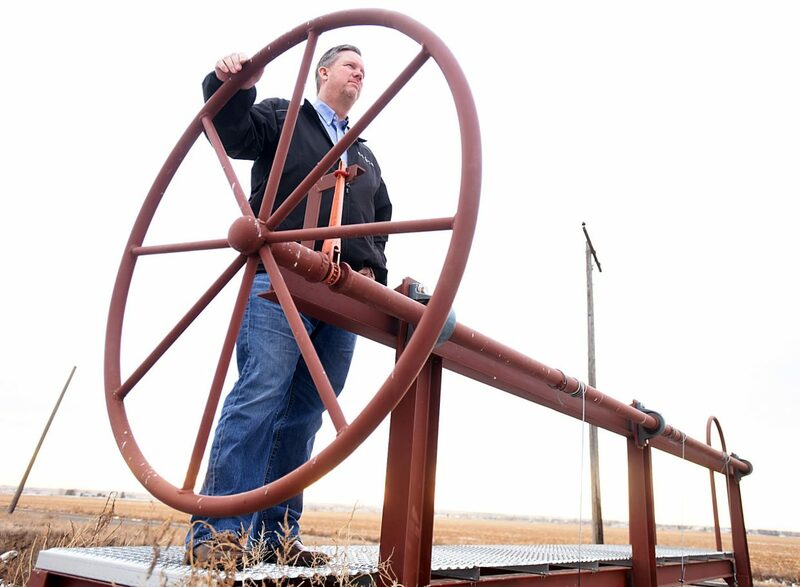 The solution, for Longenbaugh and Fritzler and others, is to stop treating the symptom, something they say the Groundwater Technical Committee — an offshoot of the South Platte River Roundtable — focused on in its various recommendations, which included installing de-watering wells and pumping that water back to the South Platte. Longenbaugh's presentation came from his "minority report" to those recommendations. Part of the fix, Longenbaugh said, was to put pressure on the state engineer. 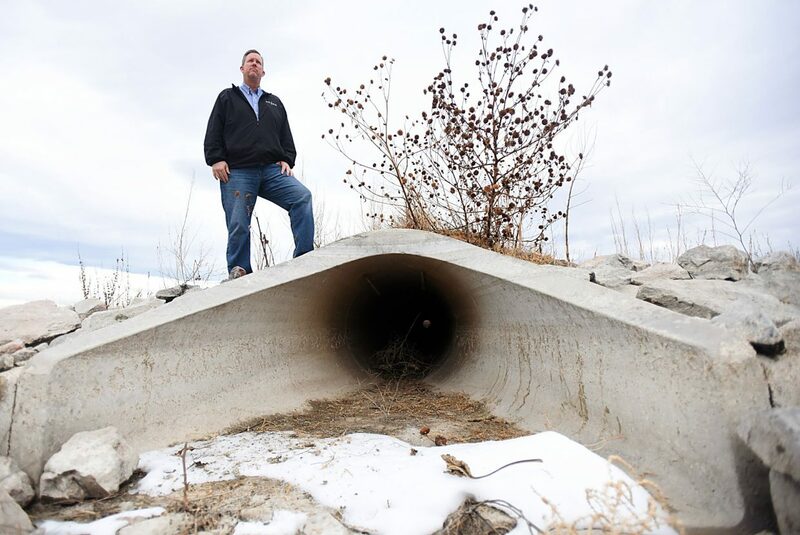 "The state engineer is required to prevent waste and to put water to beneficial use," said Longenbaugh, a longtime Colorado State University professor and assistant state engineer. "The water in your basement is neither of those." Longenbaugh continued, "I'm not a lawyer, but you people have the opportunity to bring a lawsuit against who is causing the rising groundwater. 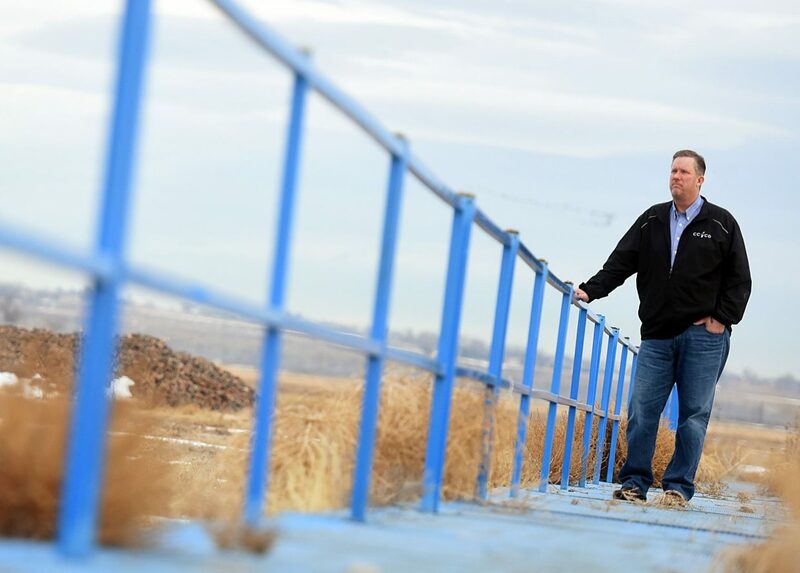 … Or you could seek an injunction to the state engineer to change how he administers water." Town Administrator Trudy Peterson said they've already looked into it, and that the Central Colorado Water Conservancy District has governmental immunity. "The town consulted the municipal attorney, and it hired a water specialist attorney; the town board isn't sitting on its laurels," Peterson said. Peterson said there also are issues with giving notice. Gilcrest would be required to give Central notice within six months of the injury happening. Central Colorado Water Conservancy District Executive Director Randy Ray said he was aware the town had looked into suing his organization. But he said Central is not the cause of high groundwater or the resulting water damage. Ray stressed his organization's attempts at being good neighbors, saying he has talked with Peterson about shared solutions, including sharing the infrastructure costs to build a pipeline. Ray said he was disappointed those discussions didn't come up in the meeting. Platteville resident Larry Ray said he spent years going to water meetings. He spent $30,000 fixing his basement after the water began pouring in. He still battles it daily. For Ray, the people with the ability to fix it won't fix it because it doesn't affect them. "They didn't do a damn thing," Ray said. "It was frustrating, so I left. It was either that or go to jail." Gilcrest has done its share of fixing the symptoms, re-doing its wastewater treatment pond linings and installing a de-watering well, among many other fixes that have totaled more than $800,000 — likely with more to come. —Tyler Silvy is the deputy editor of The Greeley Tribune. Reach him at tsilvy@greeleytribune.com. Connect with him at Facebook.com/TylerSilvy or @TylerSilvy on Twitter.